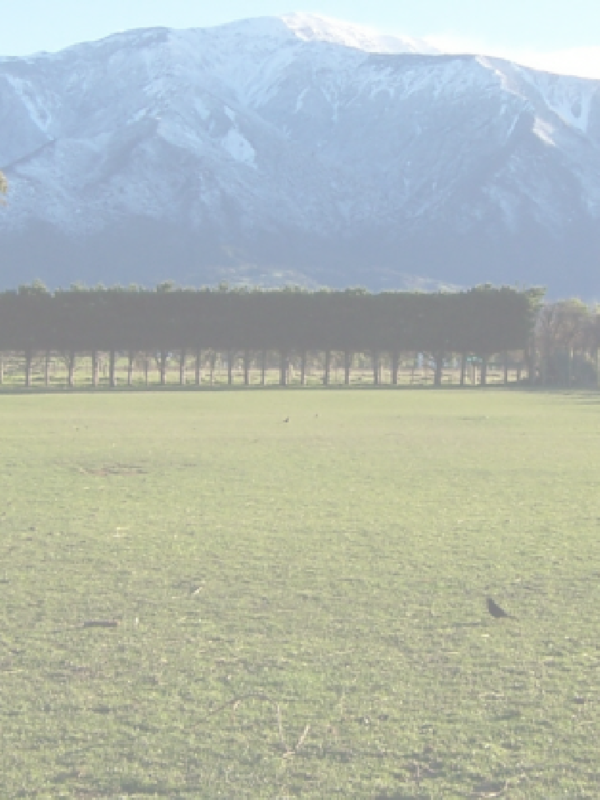 CHECK-IN = Between 2pm and 9pm = We like to welcome you into our property, show you its features and facilities, and answer any questions you have, the Farm Animals or Kaikoura. Consequently, when you booked, we asked for your approx. arrival time, and do our best to be available to meet you. However, we sometimes have off-site errands, occasional time off, etc, which might mean that we’re not available. On these rare occasions, we ask our staff to cover for us. Thanks for your understanding. if we hear you arrive, we will come out to greet you. If we do not appear within a few minutes, please call us on: +64 3 319 5033. Alternatively, we live in the white farm house in the middle of the site (there is no reception). There is a late arrival notice on our gate near the road - approach the house from here, and knock on the front door. During the day, we could be working outside, with our animals, or anywhere on-site, so please bear with us. In the evening, please consider that other guests could already be in their nearby accommodation, and possibly asleep in bed - thanks. If you don’t find us quickly, please call +64 3 319 5033. After 9pm, please consider that we are a small family business. We don't have night-time staff. The animals we care for require that we are up very early every day (We normally go to bed at about 9pm). If you arrive late, perhaps you could check-in before going into town for dinner? The properties we have are unusual with features and facilities that need an introduction. If you can only check-in after 9pm, please contact us directly in advance, so we can decide what to do. THANKS for your understanding. Late Check-in charge = we charge $30/hour to check-in after 9pm. The first $30 charge will be made at 9:01pm. At midnight, the charge increases to $60/hr. This pays for someone to be available when you arrive. If your plans change, and/or you are going to be late arriving, please call: 03 319 5033, or email: admin@wackystays.co.nz - as early as you can. We charge $20 per hour if you extend your stay in your property. (The first $20 will be charged at 10:01am). This pays for staff waiting to clean the property.